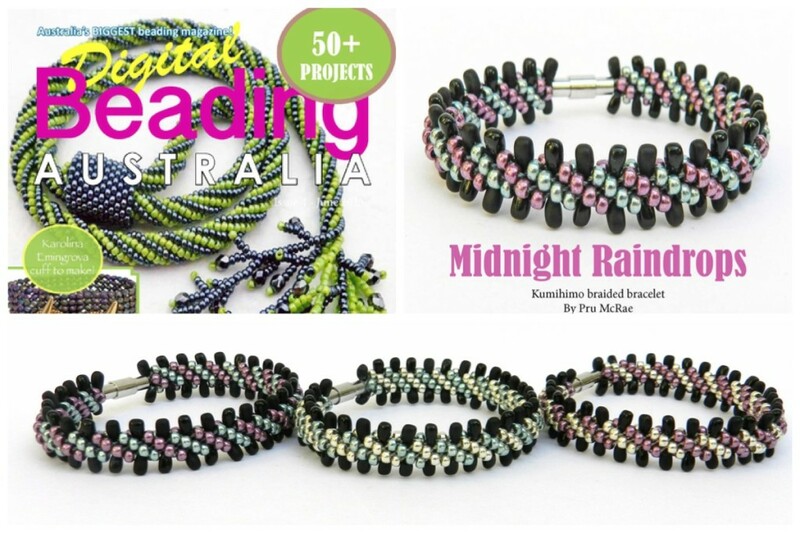 I was contacted a while ago by the editor of Digital Beading Australia and asked to contribute a tutorial. We were still enjoying warm summer weather then and autumn was on its way, but I had to forget all of that and think up something light and fresh for the Australian spring. I had just taken possession of some of the new Miyuki Long Drop Beads, so I knew I wanted to include them in the design and I felt that the delicate colouring of the galvanised seed beads would work well with them. These bracelets are fun to wear and could look great in all sorts of colour combinations. ← It is finally ready!